Don’t Take the Money (after service of 3 day notice) and Run, if You Want Your Tenant Out. Does accepting a rent check or money order, after serving a 3-Day Notice in Ohio, always mean that the Landlord effectively waived that notice (which is a pre-requisite for filing a residential eviction in Ohio)? The “clear” answer - it depends. In a 2nd District Ohio Court of Appeals case reported this week (Wingate at Belle Meadows v Higgenbotham, 179 Ohio App. 3d 645, 2008-Ohio 6229), the Landlord’s assistant manager physically accepted a money order for August, 2007 rent, 32 days after it was due, and 30 days after a 3-Day Notice was served. The Trial Court held that since the rent was accepted after the Notice, the Notice was effectively waived, and Tenant’s eviction was dismissed. The Appellate Court in Wingate reversed the Trial Court’s decision based on two important facts: 1) the money order was never cashed; and 2) it was returned the next day to the Tenant by the Landlord’s manager (who had a few words for the assistant manager who took the money order). The Wingate Court followed a 1949 Ohio Appellate Court decision on similar facts (Pace v. Buck, 186 Ohio App. 25; 85 N.E.2nd 401 ). The Court in Pace ruled that if a Landlord retains rent money after a 3-day notice, for reasons other than payment (such as keeping it, without cashing it for evidence), it must notify the tenant why it is keeping it, and return it to the tenant on or before the eviction hearing, or it will be deemed to have accepted it for payment, and have effectively waived its 3-Day Notice. In Wingate, the Landlord returned the money order three weeks before the hearing, and the day after it was accepted. Translating these decisions, the best “legal” course of action for a landlord is to not take the payment, if it truly wants the tenant out (though with tenants hard to come by these days, this is rarely the best “business” answer). If the check or money order is taken, cashing it will waive the 3-Day Notice. If taken and not cashed, the return of same must happen on or before the eviction hearing. Distinguished from these facts, is the situation where the tenant is behind in rent by more than the advance payment of rent that is past due. Accepting back rent, or, in other words, payment for a liability already incurred, does not constitute a waiver of the right to give notice to vacate, and should be accepted by the landlord from a business perspective. In such a situation, the landlord should notify the tenant that it has “accepted tenant’s payment of $_______, for the back rent of $________ due”. On the other hand, if the tenant tenders a check for back rent together with rent for the next month, then acceptance of the combined payment could be construed as a waiver of the right to give notice (See White, Ohio Landlord Tenant Law, Section T 7.03 and cases cited therein [2nd Ed.Banks-Baldwin1990]). 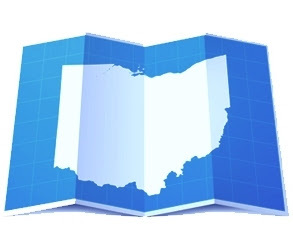 In addition to the Ohio Landlord Tenant Law treatise, Chapters 1923 (Forcible Entry and Detainer) and 5321 (Landlords and Tenants [Residential]) of the Ohio Revised Code should be consulted in order to gain a better understanding of this specific area of law. Of course, if there is any doubt about what to do in specific situations, contacting a lawyer who specializes in real estate law is advised.